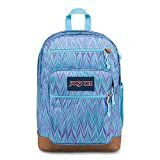 i Click 'view all' to instantly compare this fantastic deal with offers on other top jansport backpacks. 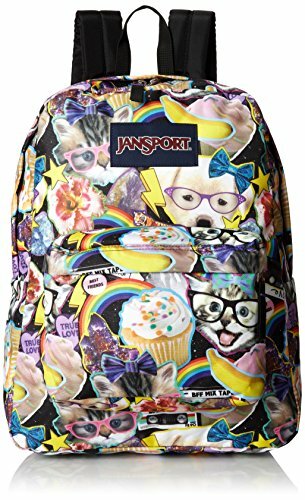 JanSport Backpack Superbreak - MULTI HAIRBALL is currently selling at $29.57, approximately $1.27 lower than average, giving a potential saving of $2.42 right now. With a lowest price of $29.51 and an average of $30.84 it is selling on the low end of its usual range. Price volatility is 2.08% (meaning it does not change often), so the price should stay low for a while. Right now this product is a recommended 'fantastic deal'. 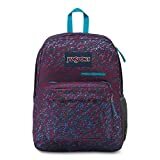 Compare the current price, savings (in dollars & percent) and Buy Ratings for the top JanSport Backpacks that are closely related to JanSport Backpack Superbreak - MULTI HAIRBALL. Here is how JanSport Backpack Superbreak - MULTI HAIRBALL compares with other leading JanSport Backpacks. A one and only classic, the JanSport® SuperBreak® will fit all your necessities with ease. 600D Polyester gives you the durability that you desire. Padded shoulder straps for added comfort. One main compartment gives you the space that you need to organize your essentials. Front pocket with organizer to store electronics and accessories. 2/3 padded back. 1550 cubic inch/25 liter capacity. This product may have a manufacturer's warranty. Please visit the manufacturer's website or contact us at warranty@support.zappos.com for full manufacturer warranty details. FeaturesA one and only classic, the JanSport® SuperBreak® will fit all your necessities with ease. 600D Polyester gives you the durability that you desire. Padded shoulder straps for added comfort. One main compartment gives you the space that you need to organize your essentials.